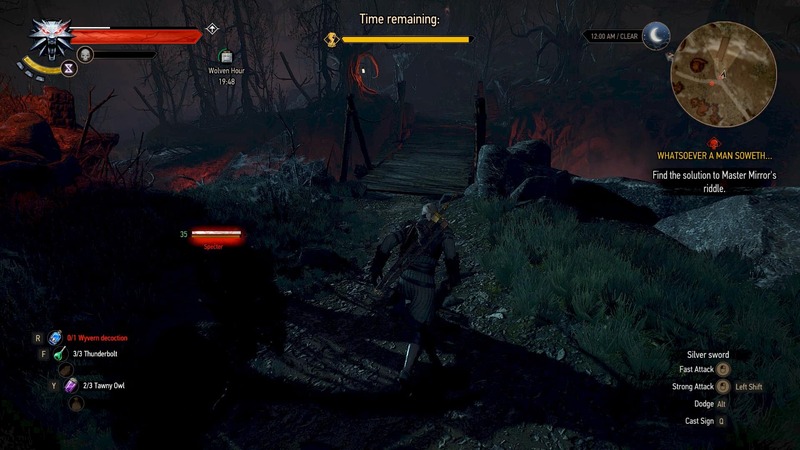 Download and install the NG+ DLC through your method of choice (depends on whether you’re using Steam, GOG, or manual install) – this will update you to the 1.08.2 Patch. Click ok and save your current game session. P.S. 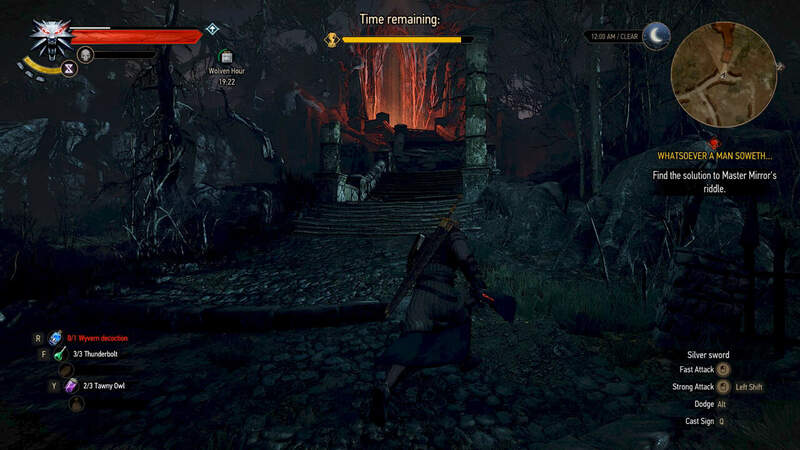 To differentiate between game saves made in normal and New Game + modes, look for the + sign next to the save screenshot. The + sign indicates a New Game Plus save. Sun and Stars (1/1) - This skill allows you to slowly regenerate health during daytime, as well as giving you a small stamina regeneration bonus at night-time. Since you don't heal from meditating on Death March difficulty, this skill is very helpful to help you regen without having to use food or potions. I would recommend to pick this up as your first skill point. Cat/Griffn/Bear School Techniques (1/1) - you should pick one of these skills if you're set on which type of armor (light, medium, or heavy) you're going to wear throughout the game. Acquired Tolerance (1/3+) - This skill raises your maximum toxicity by the number of level 1 alchemy formulas you've learned. Considering you will be picking up lots of formulas throughout the game, putting even 1 point into this skill is very much worth it, so you will be able to use more potions before maxing out your toxicity bar. Active Shield (3/3) - this is by far the most useful Sign upgrade, and should be picked by no matter what build you're going for. This gives your Quen sign an alternate version which allows you to hold a sustained shield that both blocks damage, and also heals you at the same time. This skill is absolutely invaluable; put 3/3 points into this. Melt Armor (1/5+) - This is a great improvement to the basic Igni sign, allowing it to lower enemy armor. Even if you're using a melee build, you should still be using Igni in between your attacks from time to time. I like to put all 5 points into this since I need 6 points to reach Firestream and Active Shield anyways. Firestream (1/3+) - This alternate version of Igni turns it into a continuous stream of fire, and it's ridiculously powerful. It not only has high damage, but can also damage multiple targets, and panic powerful enemies (like Fiends and Katakans) for its entire duration, along with removing heal effects. Putting 3/3 into this skill is ideal. Puppet (1/3+) - This alternate version of Axii mind controls the target enemy and seems to work on most humanoid enemies. It not only automatically takes out one enemy out of a fight, but also gives you an ally that can really change the fight, especially if they have a special ability, like the Rotfiend's explosion. One point is good enough for this skill, although you can get the full 3. 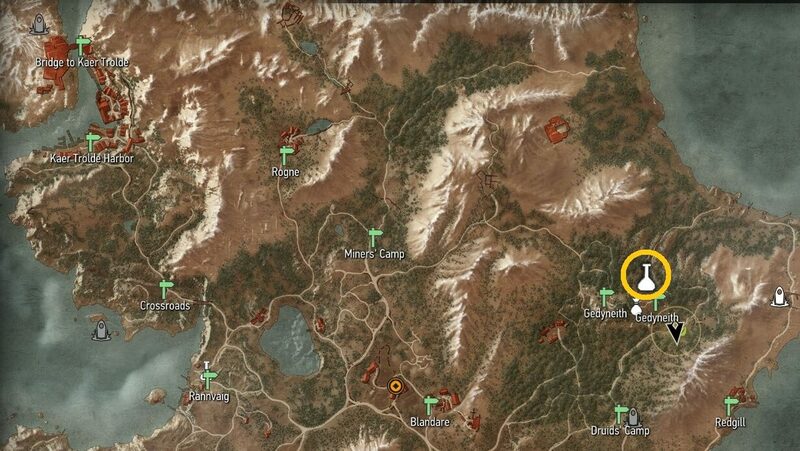 Here’s the location of the new free DLC quest, “Fool’s Gold”. You can find it in the village of Lurtch in eastern Velen, directly east of the Crow’s Perch. Look for the three dudes roasting a pig. 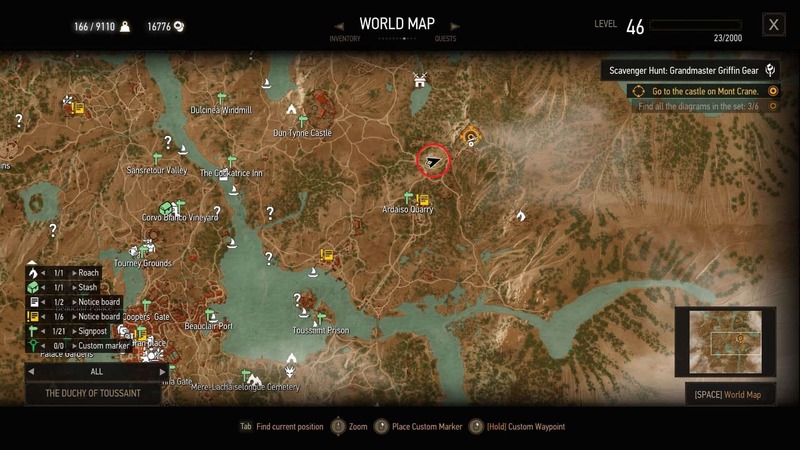 Location of the Fool’s Gold DLC quest on the map of Velen. 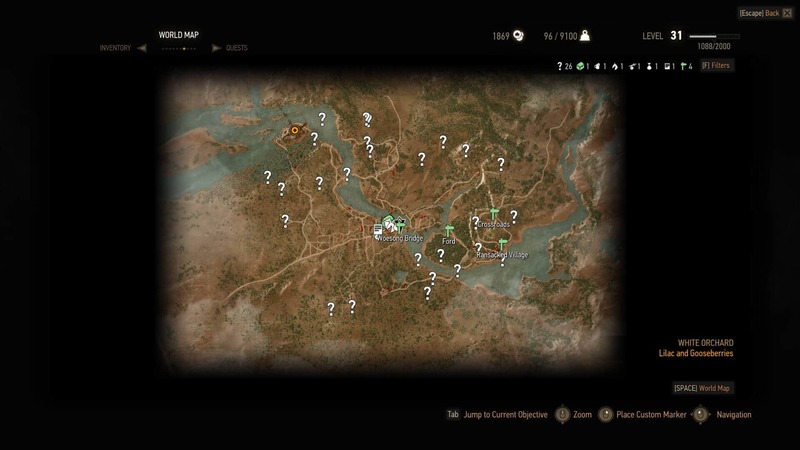 On this page you can find map locations for important NPCs in Witcher 3, including the Hearts of Stone and Blood & Wine expansions. This alchemist, located just outside the Oxenfurt Gate of Novigrad, is the only NPC that will buy your monster trophies for decent prices. For example, you can sell an Ekimmara trophy for 500 gold. If you don’t see him, it may because it’s too late in the day, so meditate until it’s day time. 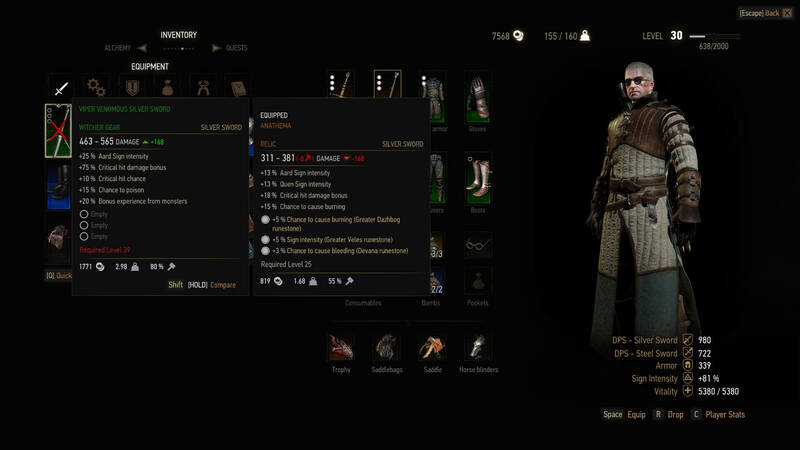 The master Armorer – Yoana – can be found inside Crow’s Perch in central Velen. 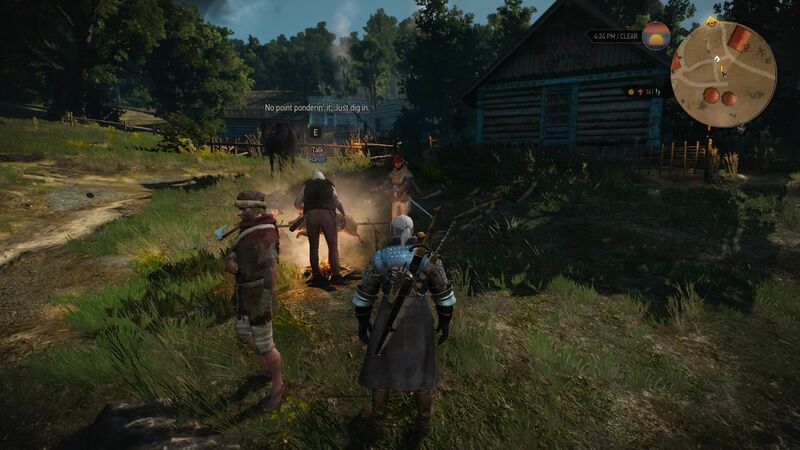 The Master Blacksmith – Hattori – can be found in southern Novigrad. The potion of clearance resets all of your skill points when you use it, allowing you to re-specialize your points however you want. 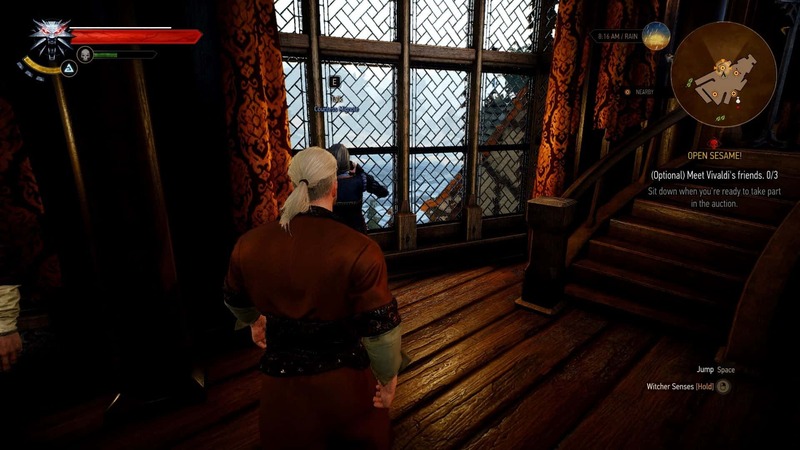 There are several merchants that will sell it to you, but the simplest choice is the herbalist in Novigrad, near the St. Gregory’s Bridge travel post. 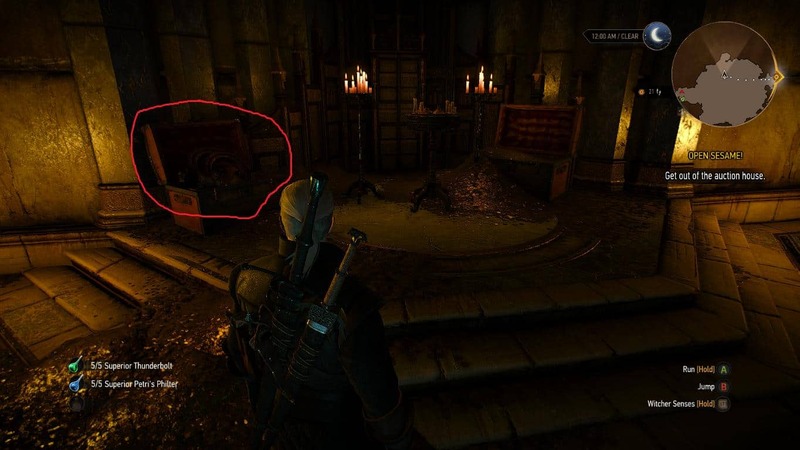 You can also buy the clearance potion from Keira Metz while she is still in her hut in Velen (before you continue her quest line), and from Gremist in Skellige (after you finish his quest line). If you’re lucky, you may also be able to buy them from a merchant close to Gremist, although I haven’t been able to get him to show up yet. 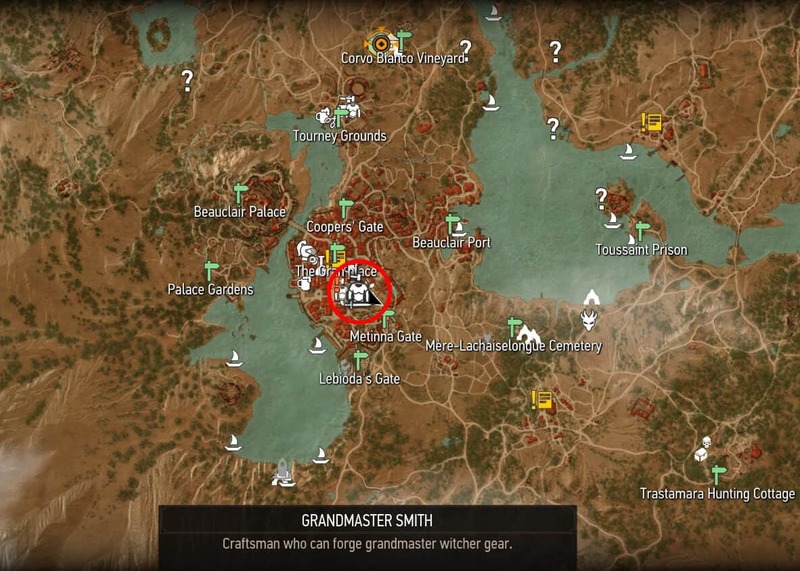 Location of Gremist on Skellige, who also sells the potion. 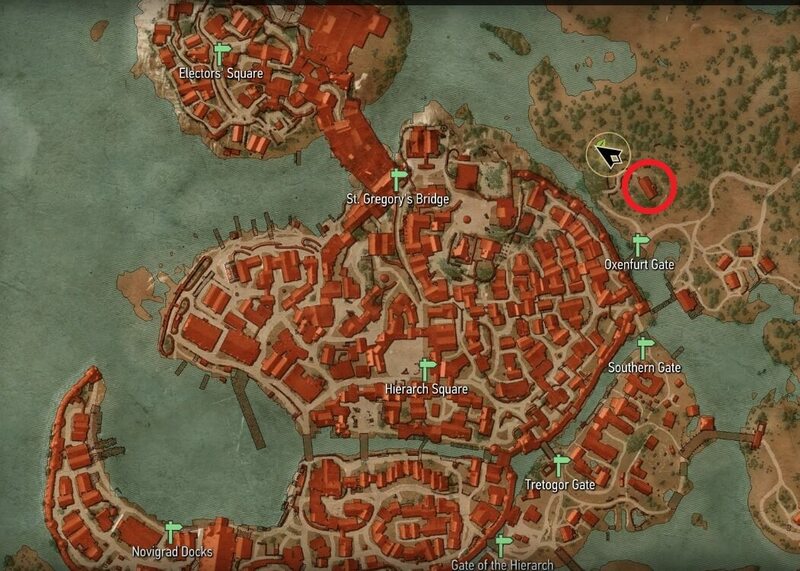 Keira Metz location (before you continue her quest line). 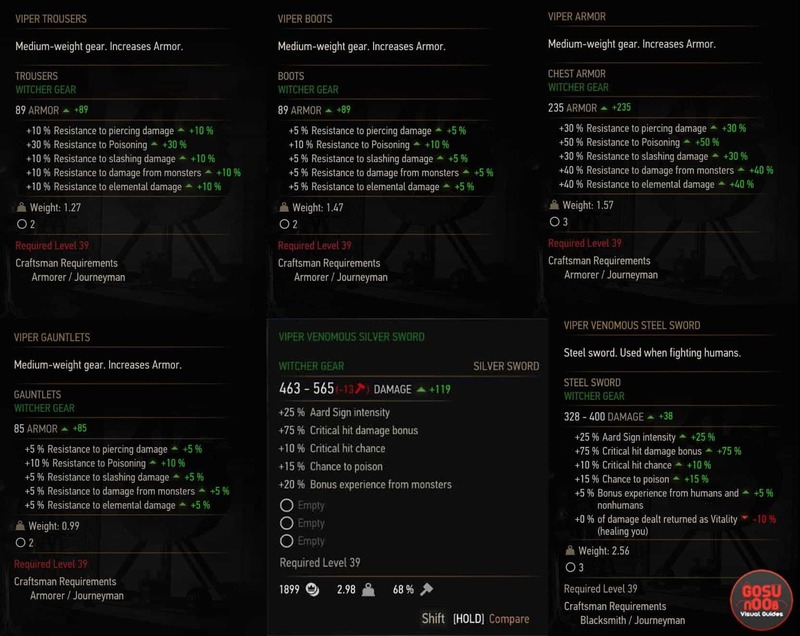 Zerrikanian Saddlebags are the best pre-expansion saddlebags in the game, and will increase your maximum weight capacity from 60 to 160 which is VERY helpful if you’re always looting everything you see. 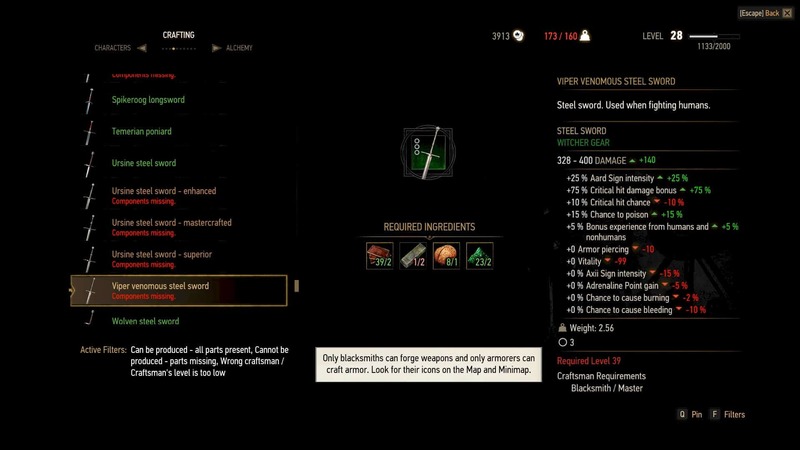 You can either purchase them for 900 gold from a merchant in Novigrad’s Putrid Grove, or get them for free from a horse race on the main Skellige island. 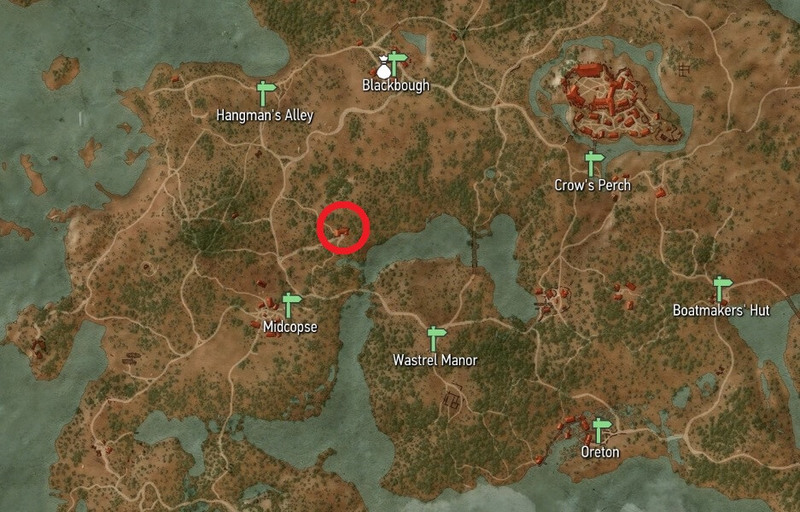 Zerrikanian Saddlebags Horserace location on Skellige’s main island. 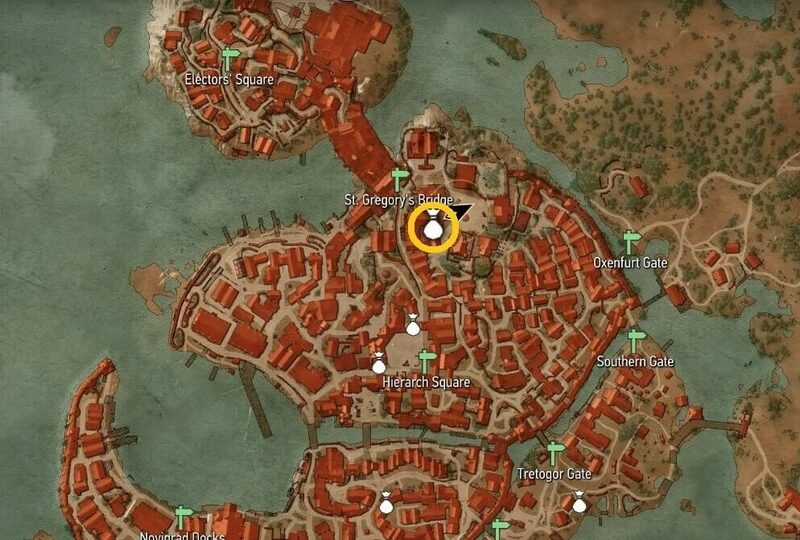 Here’s the location of Triss Merigold’s house in Novigrad. 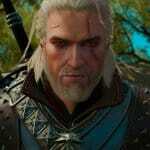 This NPC starts the Scavenger quests for the Grandmaster tier of the Wolf, Griffin, Cat, and Bear witcher sets, as well as the brand new Manticore set, and is also the only smith who can craft them. In addition, he also sells the best saddlebags in the game – Beauclair saddlebags (+110 inventory weight, 10 more than Zerrikanian). 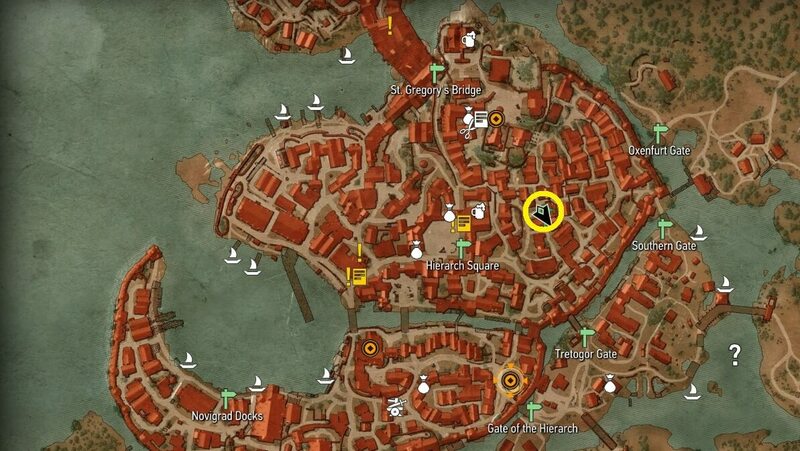 You can also obtain the Beauclair saddlebags for free from a chest at this location after helping the Knight Errant.